Years ago, I would set these ridiculous New Year's resolutions. As I was setting them, I only half believed that I would lose weight (even though I didn't need to) or "get in shape." So vague, but it was all about reminding myself that I wasn't thin enough, fit enough, or good enough until I reached my goal shape or size. 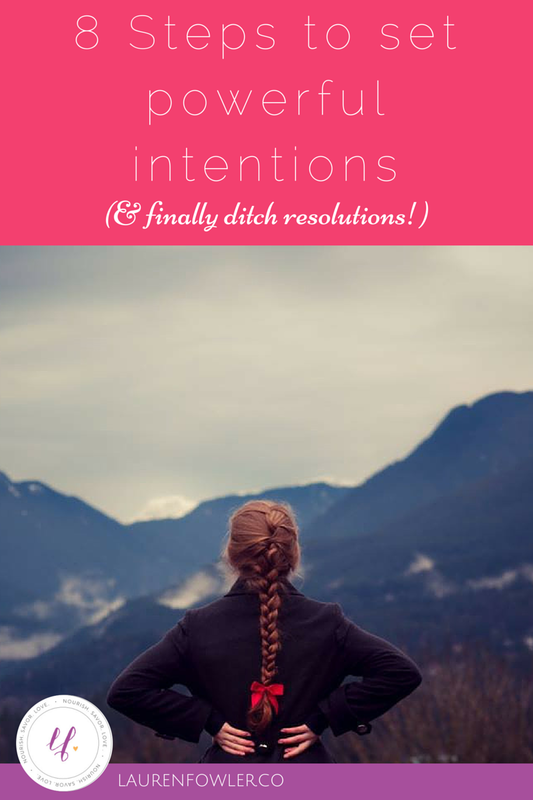 Of course, these resolutions that came from a place of self-loathing never worked. There's only so much restricting - actually controlling my food intake and mental deprivation - I could do, until I ended up eating an entire roll of Thin Mints, all while resolving to start again tomorrow. If you want to dive even deeper, I highly recommendThe Desire Map* by Danielle Laporte. She helps guide you to discover your core desired feelings as a way to live your life. Last year, mine were vibrant, open, flowing, and connected, and I honestly kept these in mind as I made inspired action in my life. I actually remembered them - I can't say that about any past New Year's resolutions!